Cardinal Coffee Mugs is a set of 2 coffee mugs. The Cardinal mugs are 16 oz. with full wrap around artwork with Cardinals design. Also has inside Cardinal accent and artwork on handle. 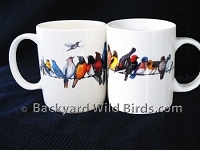 Creates a classic curved body coffee mugs, creating a beautiful functional gift for any bird enthusiast. 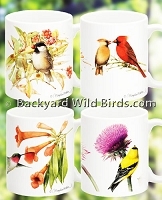 Each mug has a white interior with smaller Cardinal accent. 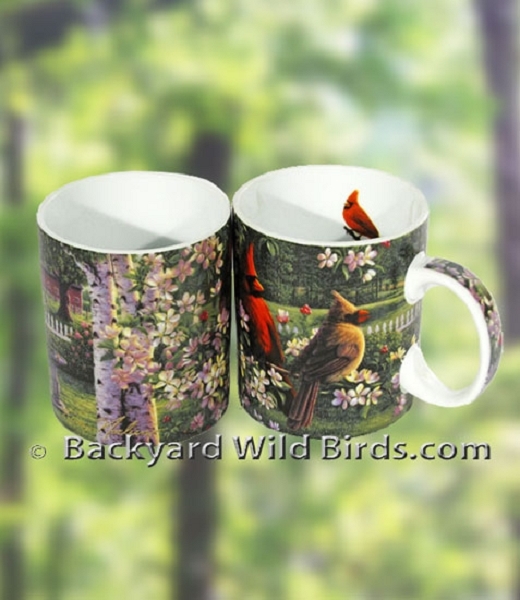 The Northern Cardinal and Mate Mugs are a set of 2 that bridges the gap between functional gift and decor item. 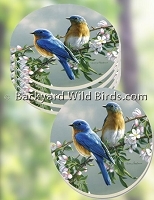 The mug set shows the front and back landscape features in their natural setting.